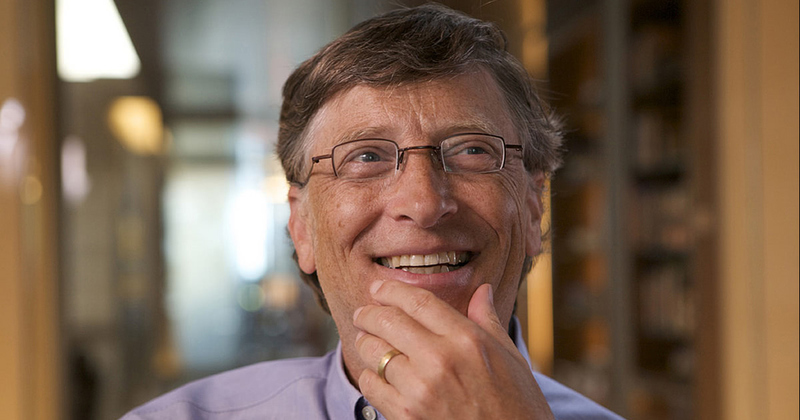 Billionaire Bill Gates's ultimate tip for success is to read more; the entrepreneur reads 50+ books a year. Learn how to do the same with one trusty tool. He meets renowned scientists and surgeons on a whim, travels far and wide on his private jet, and attends some of the most important lectures and conferences happening today. Still, Bill Gates considers sitting down with a book his favorite way to learn. A fifth grader gets a homework assignment to select his future career path from a list of occupations. He ticks “astronaut” but quickly adds “scientist” to the list and selects it as well. The boy is convinced that if he reads enough, he can explore as many career paths as he likes. And so he reads—everything from encyclopedias to science fiction novels. He reads so fervently that his parents have to institute a “no reading policy” at the dinner table. That boy was Bill Gates, and he hasn’t stopped reading yet—not even after becoming one of the most successful people on the planet. Nowadays, his reading material has changed from sci-fi and reference books: recently, he revealed that he reads at least 50 nonfiction books a year. Gates chooses nonfiction titles because they explain how the world works. In 2015, he explored topics that ranged from how buildings are constructed to how diseases are eliminated. “Each book opens up new avenues of knowledge to explore,” – Bill Gates. While we might like to read as much as Gates does every year, our demanding jobs and daily routines make it impossible to follow his example. And when we do manage to pick up a title, our focus sometimes tends to waver. Here’s one trick that can help you catch up to Gates: choose the right books. Not all books are created equal. Unfortunately, only a fraction of what you read will have a positive impact in your life. Unless you choose the right books, it doesn’t matter if you read 50 books in a year or 500. Luckily, the Blinkist app can help you discover what nonfiction books are out there, so you can pick the right ones. With our app, you can read or listen to the most popular books in 15-minute takeaways. This way, you can survey these books before reading them in full. Furthermore, if you can’t read 50 books in a year, at least you can get the main takeaways. Download the Blinkist app & read like Bill Gates!